How to combine recycling and innovation. Christmas is a time of year when we tend to go a little bit mad. We buy far more food than is good for us and more than we are ever likely to eat. We spend a fortune on wrapping paper that is ripped open in seconds and then binned, and we chop down hundreds of trees in order to decorate our homes. It’s therefore great to see my local council adopting a really innovative approach to the municipal Christmas tree. 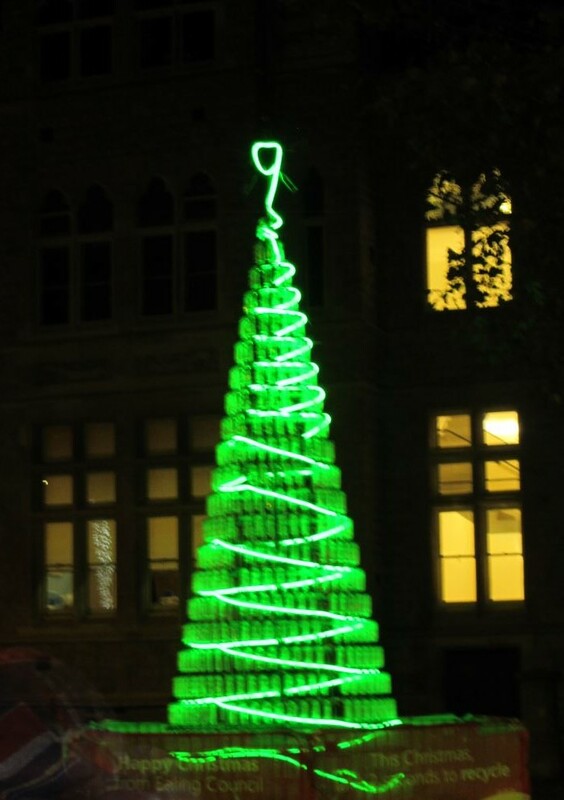 This tree is made from 900 plastic bottles recycled by children at a local primary school. This year our tree is made from 900 recycled bottles. That’s the equivalent of the amount of bottles consumed in the UK every two seconds. In commissioning the tree the council want us all to commit to taking two seconds to think how we can recycle more and then do it. What waste does your business generate and how could you recycle or reuse it? I’m taking the council up on their invitation and thinking what more I could do to cut waste and recycle in my business and I’m encouraging you to do the same. My biggest two biggest causes of waste are inkjet cartridges and paper. I recycle my inkjet cartridges and buy recycled ones to replace them so I’m not sure that there is much more I could do there. I keep paper printed on only one side and use it as scrap or for note taking at workshops but could I do more? I shred quite a lot of paper too, I put it into the recycling but I wonder if another small business could use the paper for packaging delicate items or for pet bedding or something else? Is this something you could use in your business? This is one I’ve shared before but it’s such a great example I’m going to share it again. 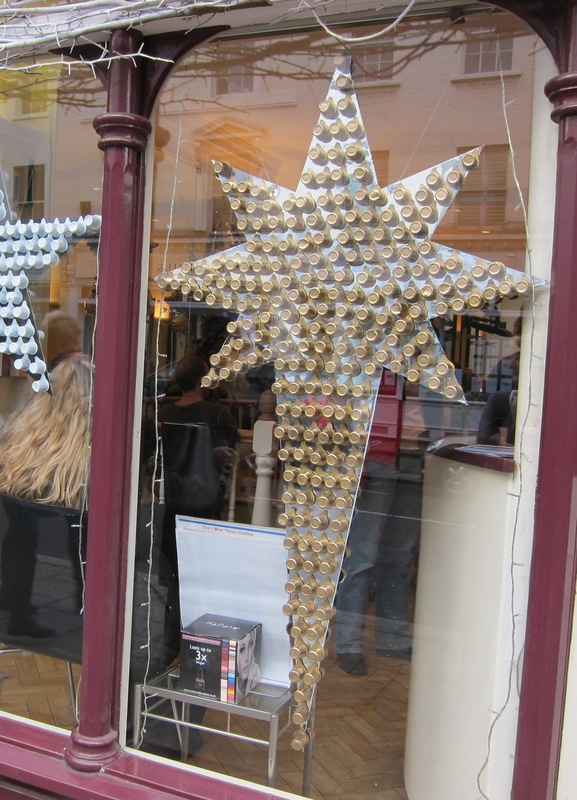 These Christmas decorations were made by recycling the waste packaging from hundreds of coffees served to customers at my hairdressing salon. 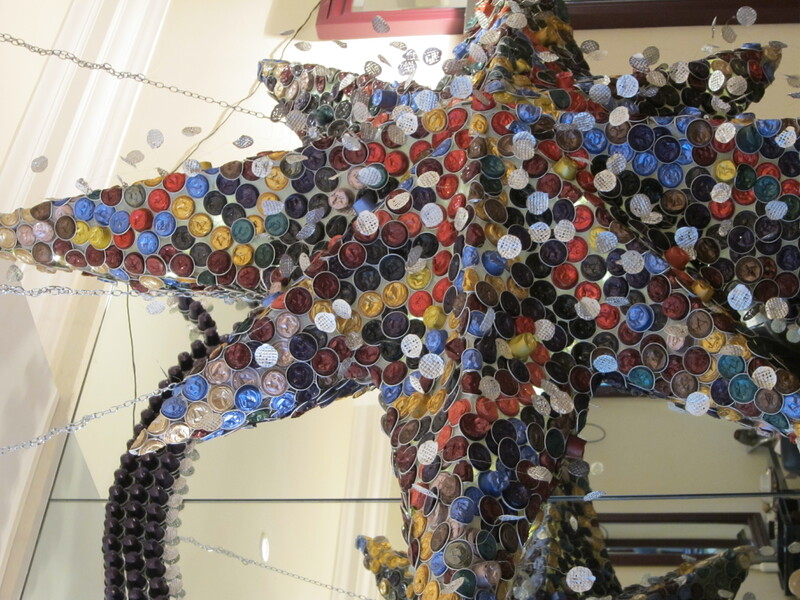 A creative use for empty coffee wrappers. Here’s some inspiration for the creative amongst you; these were spotted at a New York exhibition. They take one of the earliest forms of recycling into a new genre. 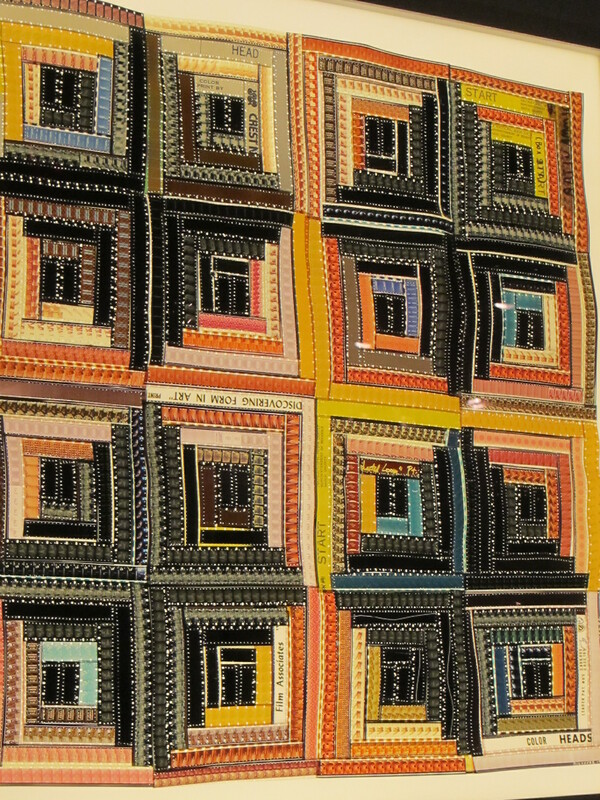 A modern take on patchwork but in this instance it’s made from film negatives. 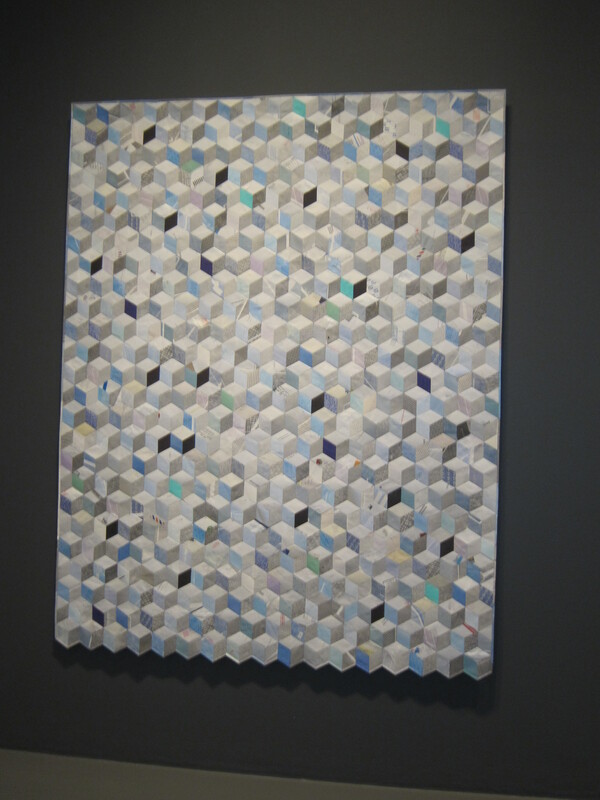 This traditional patchwork design is made from recycled envelopes. 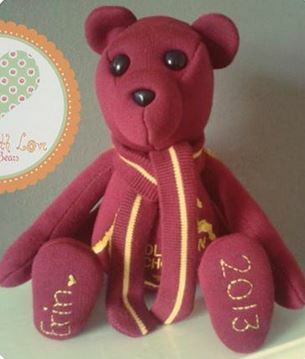 A lovely way to use up an old school jumper. So will you take two seconds to think about how you could recycle in your business either to make money or to save money? Please share your ideas here or on my Facebook page. This entry was posted in Public relations, Recycling, Small business advice and tagged Business, Christmas tree, Ealing, Environment, Paper, Plastic, recycling, Waste, Waste management by glendashawley. Bookmark the permalink.